The relevance of the Dunning Kruger Effect to alternative medicine seems obvious, I think. Here we are confronted with all sorts of practitioners who believe they know it all, can treat any condition, alleviate the ‘root cause’ of all ills, etc., etc. Many of my previous posts on this blog have dealt with aspects of this problem. And with unfailing regularity, the discussions brought some individuals badly affected by the Dunning-Kruger Effect to the fore. Typically, they go on and on and on… consumed by their inflated confidence and trapped by their incompetence to realise their incompetence. And typically, they find an audience who is gullible enough to applaud them. The novice lacks knowledge but, as he acquires a modicum of (pseudo-)knowledge, he gets a boost of confidence. An experienced person has enough knowledge to know that he knows very little; therefore his confidence is relatively low. When experience and knowledge combine to become wisdom, confidence grows and we might be talking to a real expert. Oddly, in terms of confidence, the novice can score higher than even the wisest expert. To some extent, this simple graph even explains the popularity of many forms of quackery: they are being promoted by people who know very little but are bursting with confidence. And it is this high level of confidence that tends to impress the gullible public who then eagerly adopt the quackery. Where the graph is somewhat misleading, I think, is where it might give the impression that there is an automatic and necessary transition from novice to expert (from left to right on the X-axis). In many individuals, this development does occur but, sadly, in many others it does not. The evangelical believers in alternative medicine, I fear, usually belong to the latter, sad category. If I am correct, the Dunning Kruger Effect can therefore partly explain 1) the inflated confidence of proponents of alternative medicine, as well as 2) the current popularity of quackery. Now the challenge is to devise methods of distinguishing between those folks suffering from DKE (and other forms of cognitive bias), and those who have perfect insight, but who intend taking advantage of the vulnerable and defrauding the gullible – the quacks and fraudsters. Was it Dawkins who relayed the quote, “… one does not argue with the Prince of Wales…”? I’m reminded of the observation that there are many more ways to be wrong than right and often wonder whether I know enough about the DKE to qualify as experienced. Yes, the DKE explains a lot, but then there is education in ‘alternative medicine’ such as Bastyr U https://bastyr.edu/ So ignorance and the DKE isn’t everything. Which you probably aren’t arguing. Confirmation bias, which seems to be playing an ever bigger role in (US, anyway) society these days also must play a role. As much as I hate to disagree with you, you misunderstand a problem with the cartoon of the man on the airplane. The citizens of the United States are not passengers on a plane. We have agency. We are the pilots. The politicians are told where to sit by us.That’s why getting them out of the way when we want is a revolution. During Oprah/Obama’s two terms you heard a lot about a car being “driven into a ditch.” Politicians did that. The Os got it out of the ditch. Now Trumps giving it a wash and taking it out for a spin to see what it can really do. Sorry, if that comes across as an arrogantly personal thing, but it’s our car and we care about it. This requires our singular attention, which doesn’t happen often, but we find it quite necessary from time to time. The FDA just came down on homeopathy and I’m hoping it goes further. Let that be a sign that things are moving in the right direction. One obvious area where this occurs is chiropractors and osteopaths who promote themselves as “primary healthcare professionals” able to “treat” a whole range of health problems. Unlike the true primary healthcare professionals (GPs), chiropractors and osteopaths are not medically trained and completely lack the necessary expertise to be able to diagnose and treat the vast majority (all?) of health conditions. They still believe that they are able to do so and are also encouraged to do so by their training institutions and professional bodies. This only results in the potential for harm to members of the public when serious health conditions are either not diagnosed or are treated inappropriately. Looking to the right the graph explains another thing: why so called experts are so stubborn to admit or even see their errors. And not only a more halo effect like Pauling embracing vitamin C, double-helix explainers going racist, or Americans believing to live in a democracy. But experts going wrong in their own field, like really finding a desirable effect for meds in industry sponsored trials, surgeons doing routine tonsillectomies, or pre Lister/Semmelweis doctors not washing hands. That’s of course the paradigm shift theory of Planck, Kuhn etc. The confidence thing is the enemy. It entrenches your mind. You might educate the left to decrease their confidence. What do you do with the right that cannot be educated to reduce this wrong level of confidence? You are misunderstanding the Dunning-Kruger effect. The left and right sides of the diagram describe insight, not level of expertise. You misunderstand what being to the left or right in the picture means. People do not belong to the right side just because they have formal merits (i.e. experts in something) They are on the right side because they have a sound insight into their level of competence, their performance corresponds to their confidence. People with formal merits who suffer from illusory superiority, i.e. their practical ability does not measure up to their self image, they are to the left in the diagram in question. Experts going wrong in their own field, as you call it, might be suffering from the D-K effect and if so, should be placed in the left as their confidence in their own ability does not correspond to their performance in practice. Are we looking at the same cartoon? Left and right in this context are irrelevant. WTF? 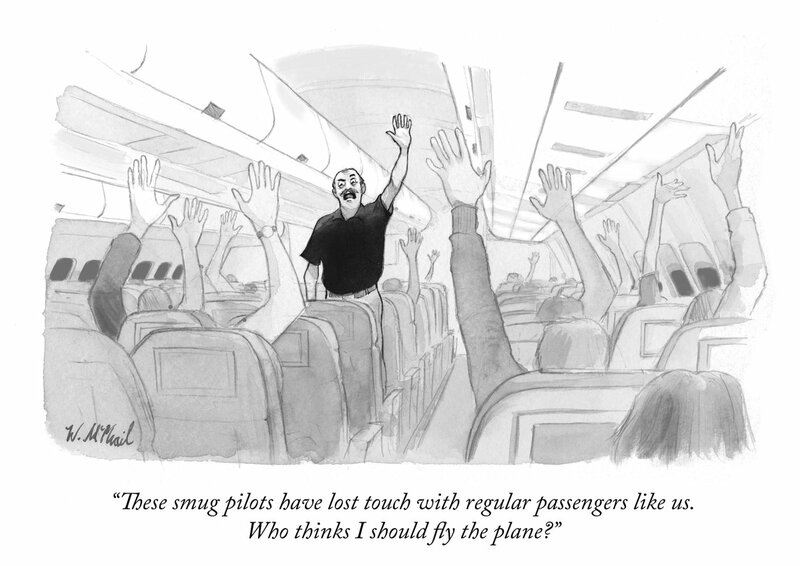 The cartoon is a metaphor for D-K insofar as all of these passengers by virtue of not flying the plane, are ignorant, but the clown standing lacks the humility (like all narcissists) and makes the message possible, the cartoon funny. You have just demonstrated the Dunning-Kruger effect. I see what you did funny guy. I hope you are just messing around. Not referring to the cartoon.. This is an old post and the link to a diagram has become invalid. In the medical field it probably means that with 20 % of knowledge in your field you might solve 80 % of the common functional disorders and illnesses which occur in physician’s consultations. I doubt if by the time a lot of practitioners become 20 % practitioners. There might be an overwhelming financial interest too to sell alternative medicine listed in Germany in the physician’s “Hufeland Verzeichnis” because most of the private health insurances pay for such alternative medicine. I found that a lot of the physicians in Germany sell IGeL therapies additionally billing the patients privately such therapies are not evidence based and not covered by the normal health insurances. Or the Dr. med. physicians can use the description “effort equivalent to GOÄ number … ” so they not even need to declare what they really do, to get paid for alternative medicine. All of this together with the Dunning Kruger Effect and with the missing effect of the “physicum” to stop physicians to do quackery might be part of an explanation why so many physicians practice alternative medicine.